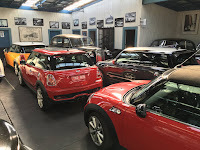 clubMINI in Victoria is your state branch of the national clubMINI group. 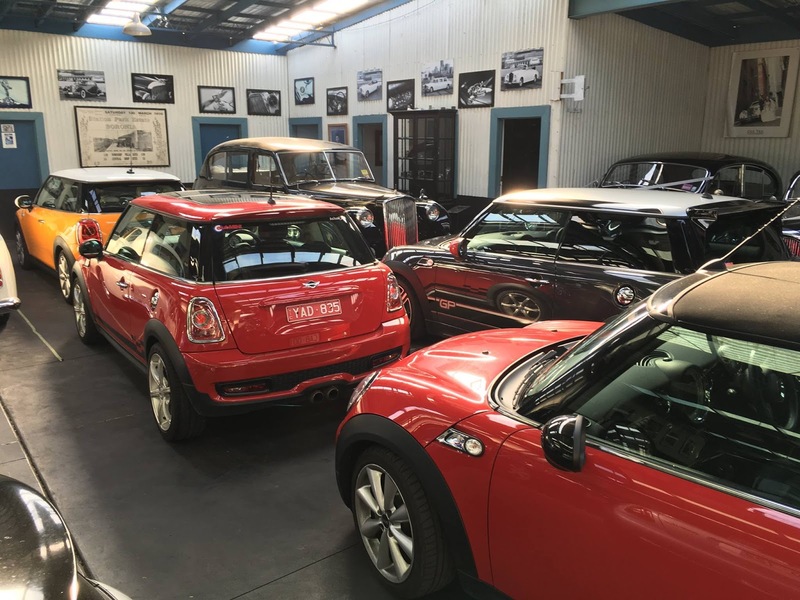 clubMINI is the only national association of clubs specifically assembled for owners of the new MINI and endorsed by BMW Group Australia. 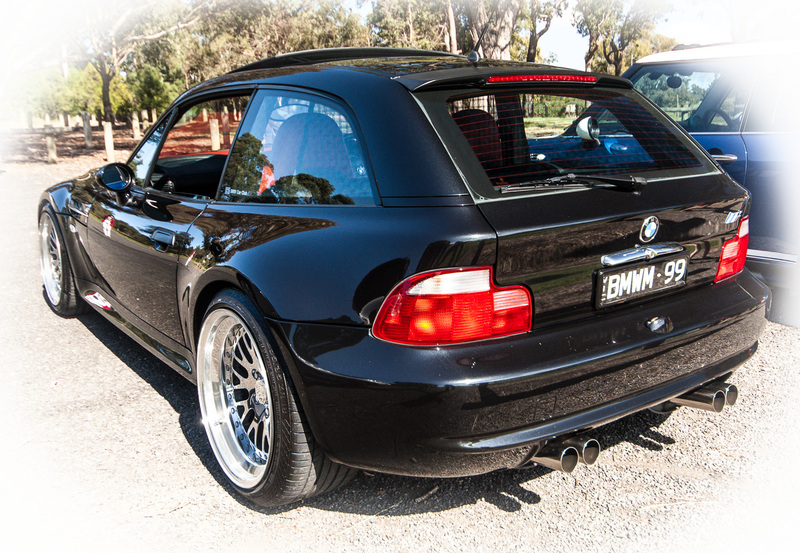 We're a group of like-minded enthusiasts who enjoy and appreciate one of the finest cars to be produced in many years. 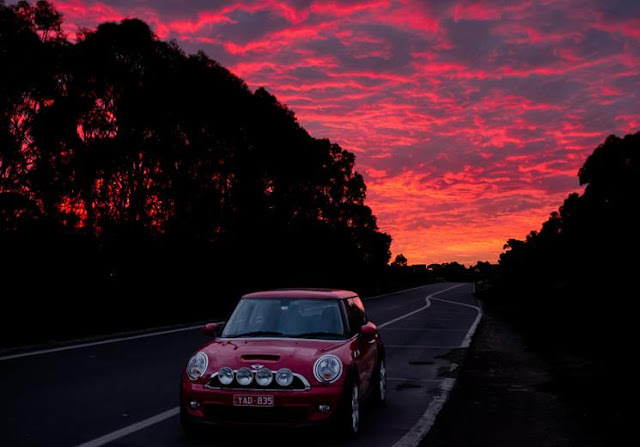 Anyone who drives a MINI Hatch, Clubman or Cabrio, Countryman or Paceman, Coupe or Roadster can join us in our enthusiasm for this great marque. Today’s start point was meant to be Macca's in Lilydale, but due to recent renovations, this had to be changed at the last minute to the car park at Supercheap Auto's in Lilydale. The meet time was 8:30 for a 9am start, and I was there in plenty of time to grab some much need coffee before the start. 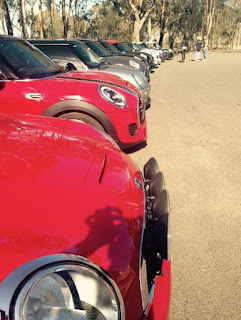 People started appearing not long after I arrived, and within 15 minutes the car park was awash with MINI's. We had expected a good turn out, and it didn't disappoint, with 17 cars joining in for the ride. After 20 minutes or so of MINI related chat, it was time to round every one up for the briefing. This was my first run as lead car, so I was a little nervous, and hopeful, that everything went well and I don't get them all lost :-). 9am, and time to get things underway. We moved out of the car park and joined the Maroondah Hwy to our first obstacle, a set of lights and a right turn. Not everyone got through the lights, but a quick radio message from the tail car in the group soon let me know. We re-grouped along a 2 lane stretch of road, and we were once again back in convoy. There is something that always put a smile on my face seeing a group of MINI's all travelling together. We headed towards Launching Place, but turned of the main road before we got there, onto Launching-Gembrooke Road, about 25Km of great twisties. After a close call with Australia's nature (about 20 ducks crossing the road), we got to our first pit stop, Gillwel Park. We stopped here for 30 minutes to allow those that needed a 'comfort' stop, and also a chance to take photos and have a chat. Back on the road, we headed towards Gembrook, again, along some more great roads with some rather impressive Gum tree's surrounding us. As we climbed, there were some magnificent scenes to be viewed. The views were just stunning, as were all the colours. I do love Victoria in the Autumn. After another 40 km's we approached our end point, were had pre-booked for 20 at the Kallista Tea Rooms, Kallista. A great place, with great food, so it was coffee, breakfast and chat as we all discussed the run in detail. The monthly May drive was held on Saturday May 14th, kicking off from Stiggants Reserve in Warrandyte at 9am. 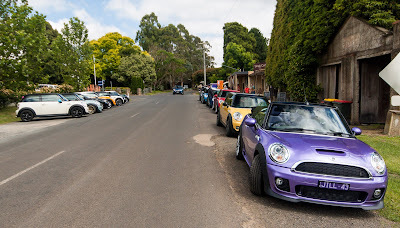 After some chit chat and MINI gazing the group took off to the second meeting point in Wallan. 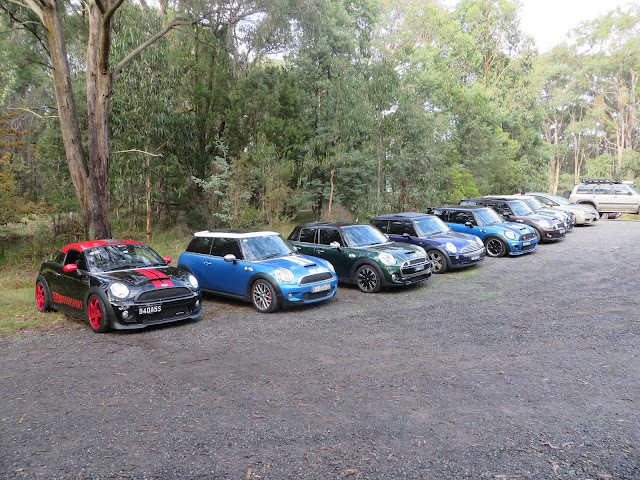 Ten MINIs were on todays run, lots of new F56 MINIs and even a few new faces on their first clubMINI run! The convoy headed towards Bendigo, taking in the Northern Highway, the exceptional and very twisty road from Wallan to Romsey (did you know that some of the original Mad Max was actually filmed out in this part of the world? Pretty cool!) and then onto the Melbourne - Lancefield Road enroute to Kyneton via more scenic countryside roads. After the Lake Eppalock stop, the group headed off towards Bendigo. 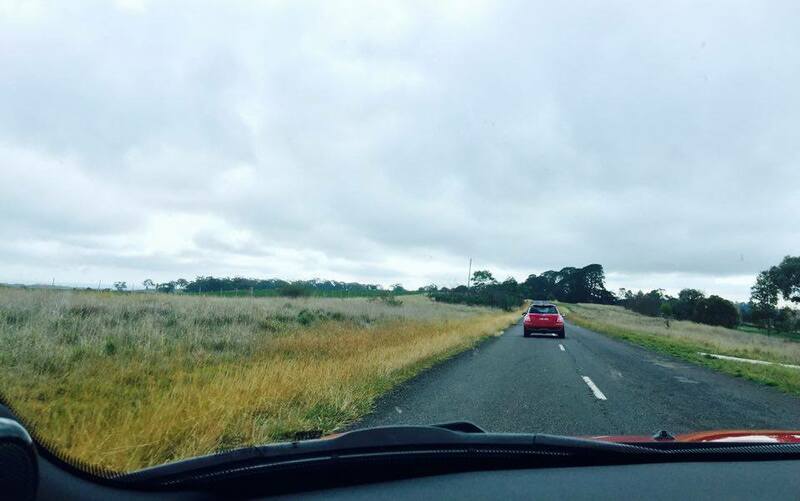 This stage of the run was approximately 41 kilometres of country driving to the city centre of Bendigo. Once at Bendigo the group enjoyed breakfast and the sights of Bendigo at their own leisure, some even visited the Bendigo Art Gallery to see the Marilyn Monroe exhibition. All in today the group travelled around 185 kilometres from Warrandyte to Bendigo. clubMINI are regularly invited along by the Victorian Mini Club to participate in their Motorkhana. They are usually run on dirt, making for a safe way to test out your driving skills without burning rubber at the same time. The only thing you'll get is a dirty car at the end. Possibly a achey face from all the smiling you'll be doing too. 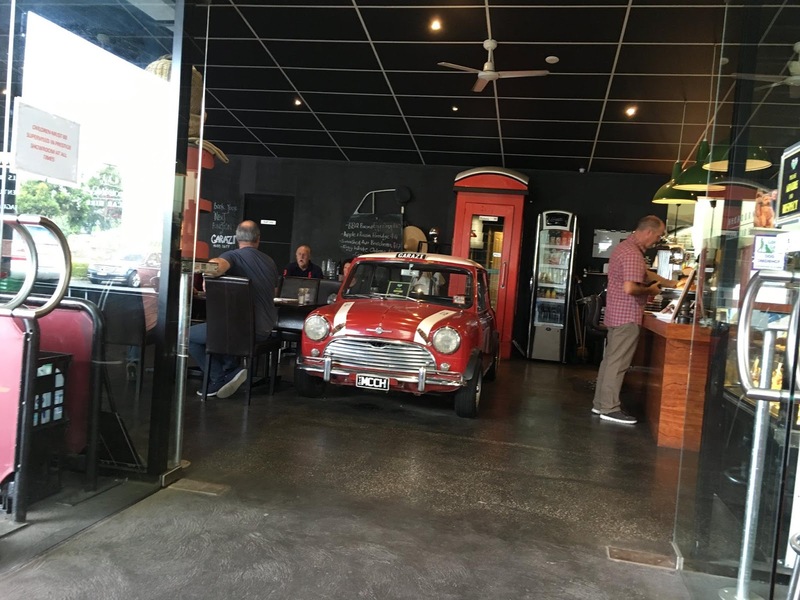 Minis are so small they even fit in Cafes! So the April 16th run kicked off in Yarraville at the Garazi Cafe. 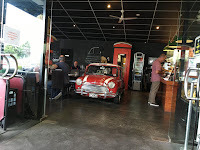 This little Cafe is quite popular with Car Clubs as not only do they have a Mini in their Cafe they also have a large warehouse full of Rolls Royces, Bentleighs, Lotus and quite a few other Marques as well. We parked our MINIs in the warehouse, ordered our coffees and breakfast. Great food and coffee, good conversation and lots of shiny eye candy about.. it was a little hard to get moving as we were having so much fun. The group managed to reverse out of the warehouse, much to my delight.. 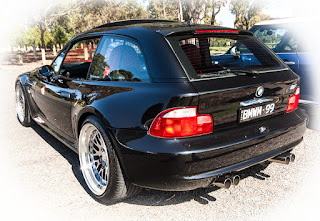 I was able to stand back and here all those fabulous MINI exhausts as they all drove their way out on the street. I have to say, the new JCW tuning kit bluetooth exhaust is fabulous.. sorry I am getting side tracked. 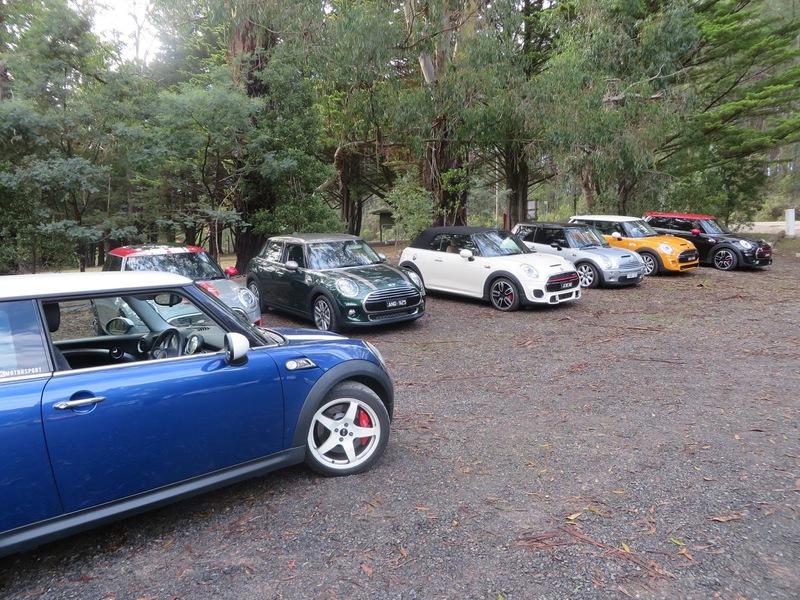 The group headed to Werribee next.. where they were able to get all the MINIs out on the lawn for some great photos. 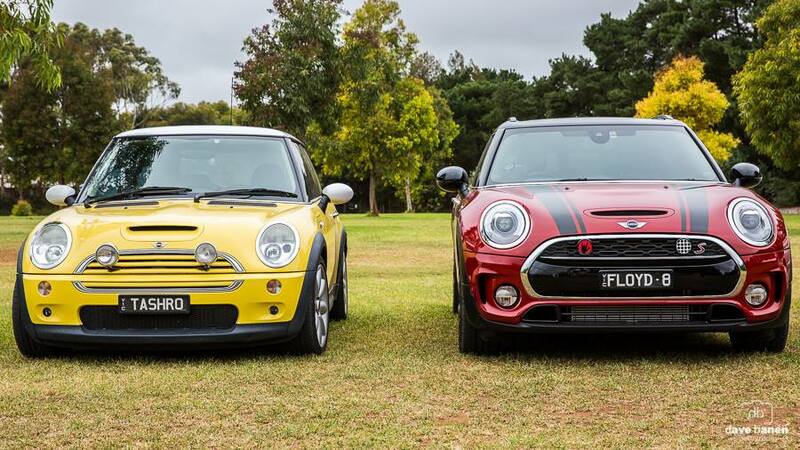 This first shot is a beaut, shows the size difference between the R53 and the new Clubman. 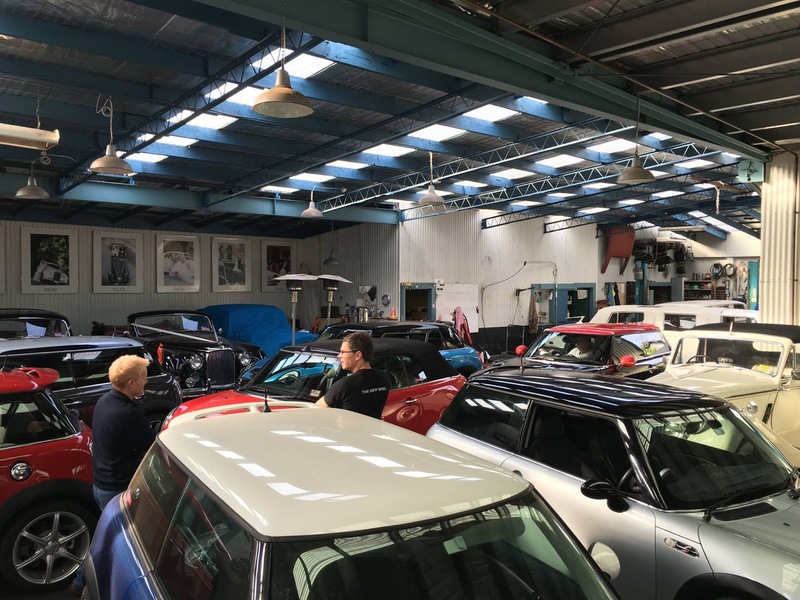 clubMINI hosted another joint drive with BMWCCV on 15 November. On this occasion only a couple of BMWs were able to attend, but together there were plenty of MINIs including a number of people new to our drives. We enjoyed a morning drive through the spectacular, sunlit spring scenery of western Gippsland. That was followed by an animated drive on the twisty roads around Noojee – a little bumpy in places but enjoyed immensely by all. The drive finished with leisurely brunch at the excellent Jindi Caf in Jindivick, overlooking the rolling hills and pasturelands and cloud-capped Mt Baw Baw. 100mm presented Certified III Melbourne Automotive Festival. clubMINI Victoria attended the 3rd event held at Birrarung Marr Park on Sunday 1st NOV 2015 by 100 Millimeter. 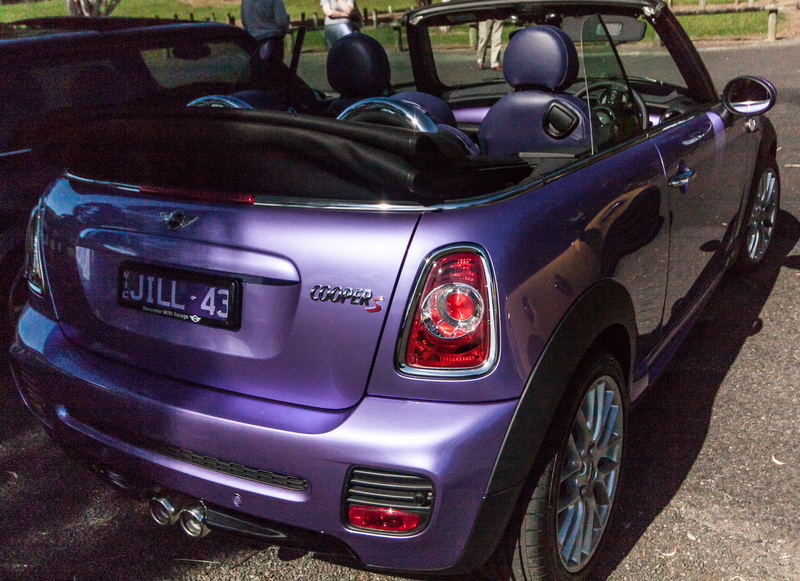 This festival showcased approximately 200 of some Australia’s best custom vehicles. The event program also included the key elements of a car custom work, lifestyle culture of todays trend and preference. Some of Melbourne’s best Food Trucks and Stalls where on site to feed the masses. To top off the day, live bands, DJs and dancers provided entertainment. With some shopping opportunities at the many display stands on site. 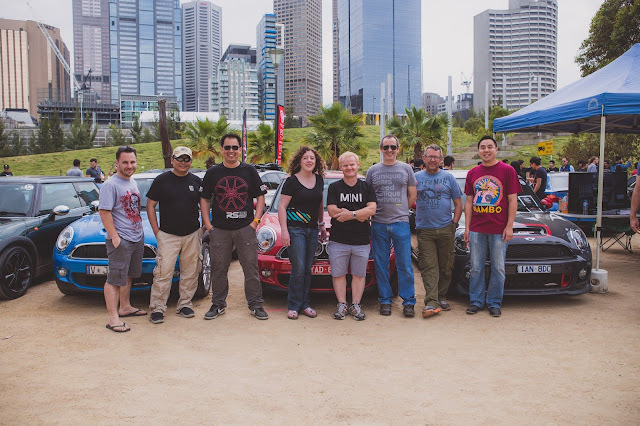 MINI Garage Melbourne provided giveaways for the club members in attendance and also generously provided T Shirts for those who exhibited their cars on the day. 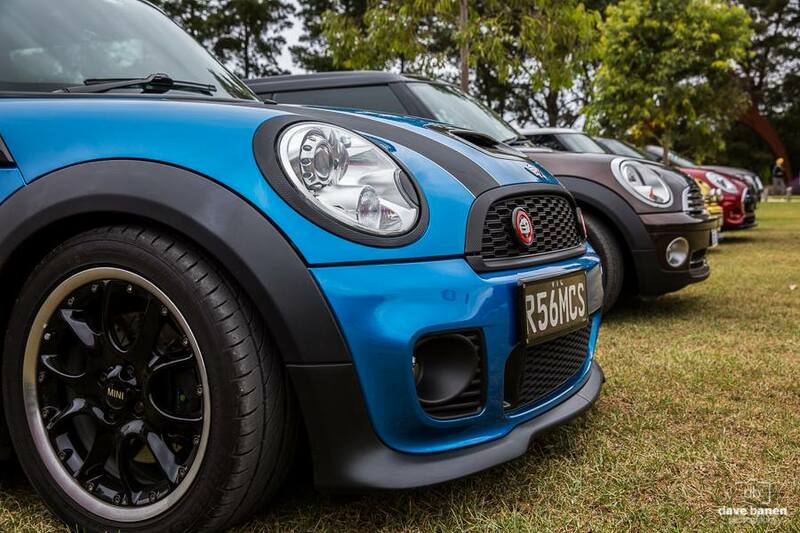 In total there were 10 MINIs on display, ranging from a Cabriolet, to R56 S and JCW variants, a Coupe and even a MINI Challenge Car. 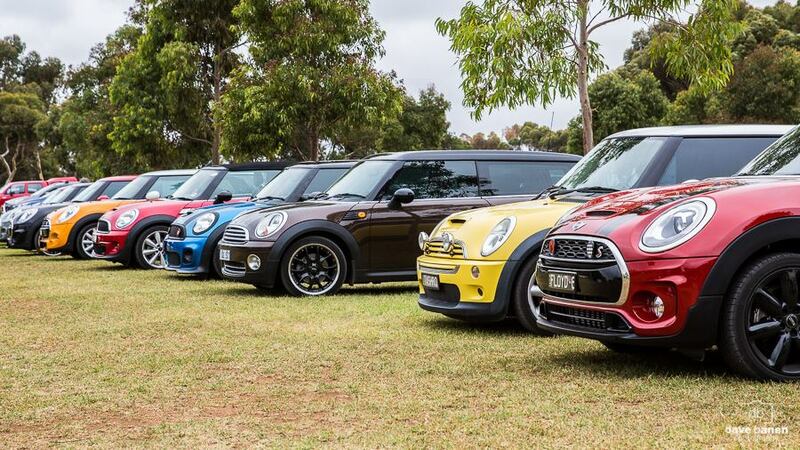 Lastly one of the latest line ups to the MINI range with a F56 S in attendance. The day started early, with the owners of the display MINIs up at 5:30am.. down at Birrarung Marr to get the site set up. 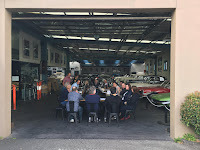 clubMINI Victoria Committee members were on hand to share information about our great club, the cars and also the regular events held. Was even a raffle for club members, with prizes generously donated by MINI Garage Melbourne on Kings Way. 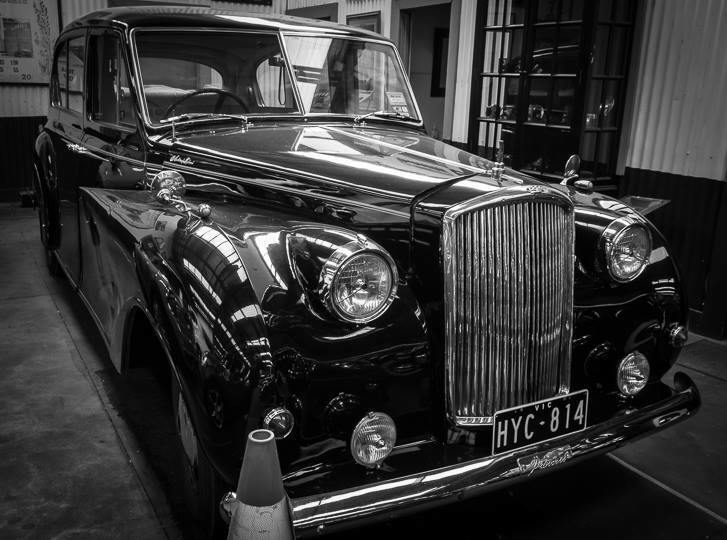 There was a spectacular variety of cars on show, best captured by photos of course. See below. 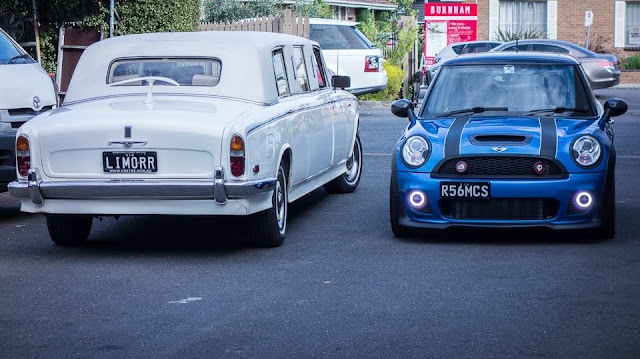 MINI Australia and MINI Garage Melbourne (aka Kingsway) Thank you! 100mm from Amanda on Vimeo. 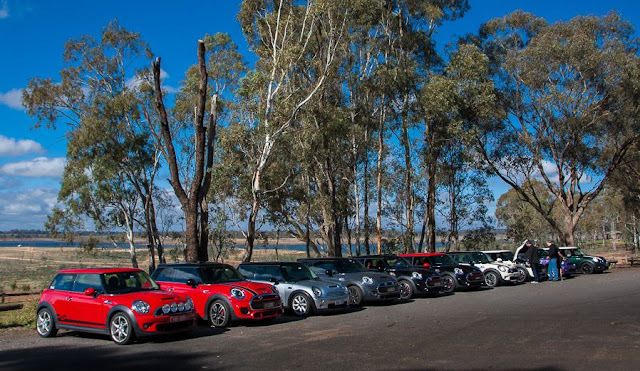 The clubMINI Motorsport team participated in the Winton 10-hour Relay Race on the weekend (17-18 October). 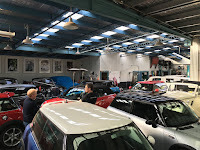 The Drivers and vehicles were Geoff Vernon in his R53 Electric Blue Hatch, Peter Kaiser in his R56 Chilli Red JCW, and Craig Lindsell in his R53 BRG Ex-targa. The Support crew where Andrew (Macca), Craig W, Sally P, Tony P, Jeff S, Evans K and Gaylene C.
Practice went well with the guys working out what lap time to nominate for themselves. Unfortunately (and fortunately) Geoff’s MINI experienced problems during practice when the gear linkage on the shifter came apart!! The guys all joined together to work on fixing the problem. With less than 30 minutes of practice time to go Geoff went back on the track to test the repairs, but less than one lap showed that more tinkering was required. Nominated lap times were: Craig 1:44, Peter 1:45, Geoff 1:50 – Geoff’s lap time was a strategic decision, not knowing how repairs would turn out!? During the lunch break the guys worked further on Geoff’s MINI and with sufficient hammering, and supply of cable ties and lubricants, everything was put back together … okay, there may have been one or two spare bolts and parts left over! Around 14:00 Craig lined up in 6th position on the ‘grid’ ready for the start of the relay. Craig did really well, earning LOTs of bonus points. Peter went out next and did well too. And then it was Geoff’s turn … fingers and legs were crossed by the team and support crew! … and … Yippee!! Success!! Then repeat … Craig, then Peter, then Geoff. So at the end of Day One there was great relief, and we enjoyed dinner together at a local Benalla hotel. The guys toyed with the idea of meeting early Sunday morning to check on the repairs to Geoff’s MINI but decided to leave well enough alone. The race started early at 09:30am with Geoff on the track first … it must have been hard for him to ‘slow down’ to aim for his nominated 1:50 lap time. Macca rushed out to ‘the wall’ a few times to ‘impress upon Geoff the importance of going slower’ !?! Peter went out next and towards the end of his stint there was a three vehicle incident that Red Flagged the event for a while. Fortunately the drivers of the vehicles involved were not seriously injured, but one Alfa Romeo and one Peugeot looked to be write-offs. Craig was out next. The day was warming up quickly and so was the track. 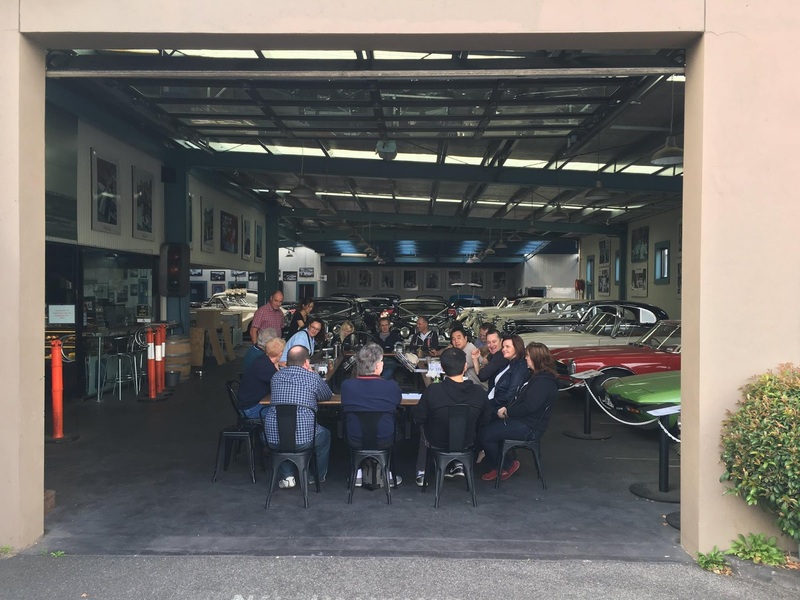 Then it was a case of repeat … Geoff, Peter, Craig, Geoff, Peter, Craig. The rest of the relay went well for the clubMINI team, with the relay finishing at 15:30. The drivers did a fantastic job, and the support crew were awesome too … A big thankyou to everyone for a great team effort!